Hello! I am back from spending a fantastic long weekend with my mom. We shopped, ate, and laughed. It was the perfect getaway! Thanks, mom! Today I am joining the La-La Land Crafts Design Team in my first ever La-La Weekly Wednesday Challenge. I am so excited to be hanging out with this super skilled group of artists. 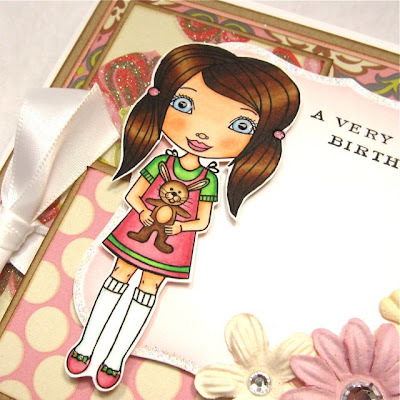 This week's challenge hostess is none other than the owner of La-La Land Crafts, the uber-sweet and talented Irina Blount and her theme this week is "Birthday Wishes". Everyone is welcome to play, but if you use a La-La Land Crafts image in your creation, you could be selected to win a $10 store credit. If you're in the top 3 you will win a special La-La Land badge to proudly display on your blog. This week's special is 20% off Sitting Pretty Rosie. Swing by the shop to pick her up at this special price. While you're there, be sure to check out all of the other fabulous images and, if you're like me, and can't wait to start playing with them right away, take a gander at the group of digi images available for purchase. For my card, I used Lala with Bunny. What a sweet image! As soon as I laid eyes on her, I thought pink and green. 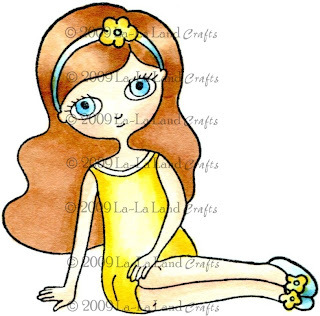 I colored her with Copics and then added dimensional lacquer to her eyes and shoes. She's a girlie girl, so I couldn't resist a bit of ribbon and, of course, no card is complete without a few paper flowers and gems. Need more inspiration? Check out the beautiful designs created by the DT over on the La-La Land Crafts Blog where you'll also find more details about this week's challenge. Such a cute card! Congrats on the new DT gig! Looks like you'll be having tons of fun!! Adorable image, and love how you handled this cutie! Great paper choices, and superb layering design! I loved having you for a visit, but it just ended all too soon! LOVE, LOVE, LOVE your card!!!! Beautiful layout with tons of layers!! Your coloring is just superb!!! LOOOOOVE it!! Such an adorable card! Luv all the detailing! Great job and again, welcome to the team! 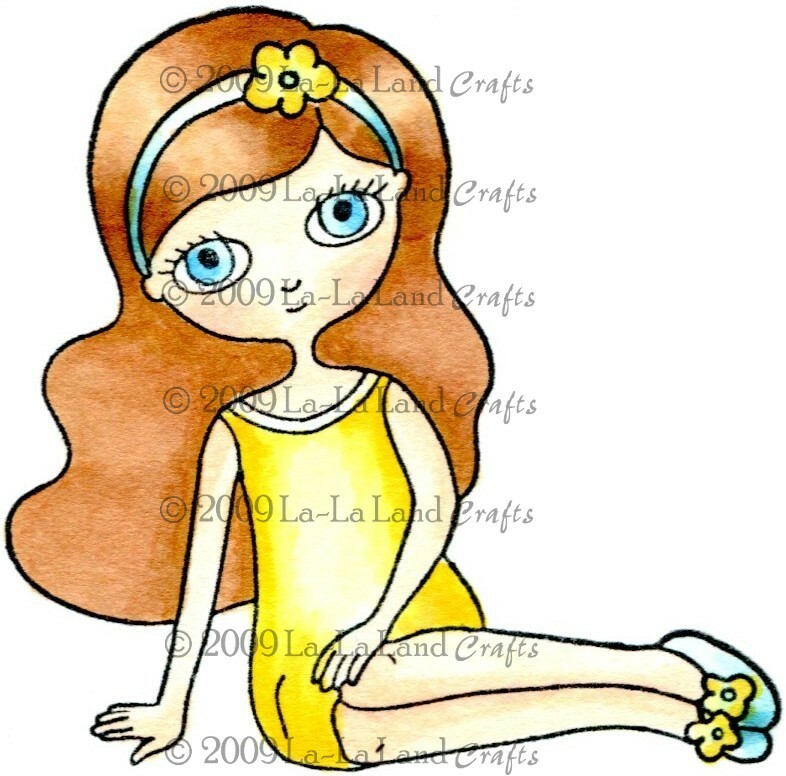 Ahhhh what a sweet card...just went and had a peek and I may just have to do some shopping and get this sweetie as a digi, thanks a lot Cheryl...nice enabling, way to go,lol!!!! Love how cute and elegant this card is such pretty papers and beautiful colouring...congrats on the guest DT post, Cheryl...they are very lucky to have you! very cute card-this image is just precious. Congrats on the DT!! !